The Montreal Canadiens will have to make do without their best player for a week, as Carey Price is out with a lower body injury. Price suffered the injury in Montreal’s 4-3 loss to the Edmonton Oilers on Thursday and he’s been off to a tremendous start so far, going 7-2 in nine games. He’s posted two shutouts with a save percentage of .936 and a goals against average of 2.01. Montreal will instead turn to Mike Condon, who’s picked up a Sunday win against the Winnipeg Jets and will be backed up by Dustin Tokarski for the rest of the week. The Habs find themselves in a four game homestand that will also include games against the Ottawa Senators, New York Islanders and Boston Bruins. Going into Sunday’s game against the Jets, Condon had a 1.67 goals against average and a .944 save percentage. 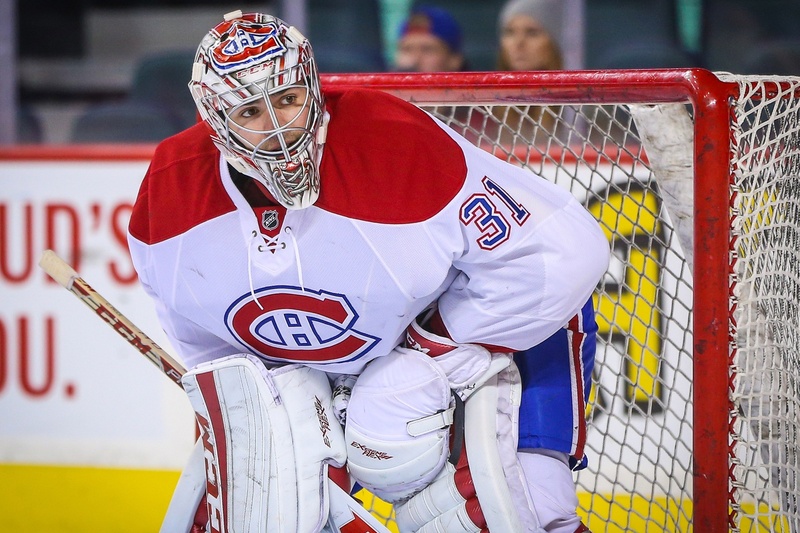 He piled up 30 saves against the Flames on Friday night, leading the Habs to a 6-2 victory. The Canadiens are running on all cylinders at this point and Sunday’s game against the Jets serves as an indication that they can still make do and pick up huge wins without Price in goal. They blew out the surging Winnipeg club by a final score of 5-1. Condon made 18 saves and the Canadiens had two goals from Tomas Fleischmann to help pad the stats. But obviously, Price is still a huge part of this team. He picked up the team’s Molson Cup honours for October, having been selected three times as the first star of the game and having rolled through a stellar month. For the Habs, this isn’t the news they wanted but it’s news they can bear. If Sunday’s game against the Jets is any indication, this team should be just fine for a week without Carey Price.